and about the Howarth-Redgate oboe. 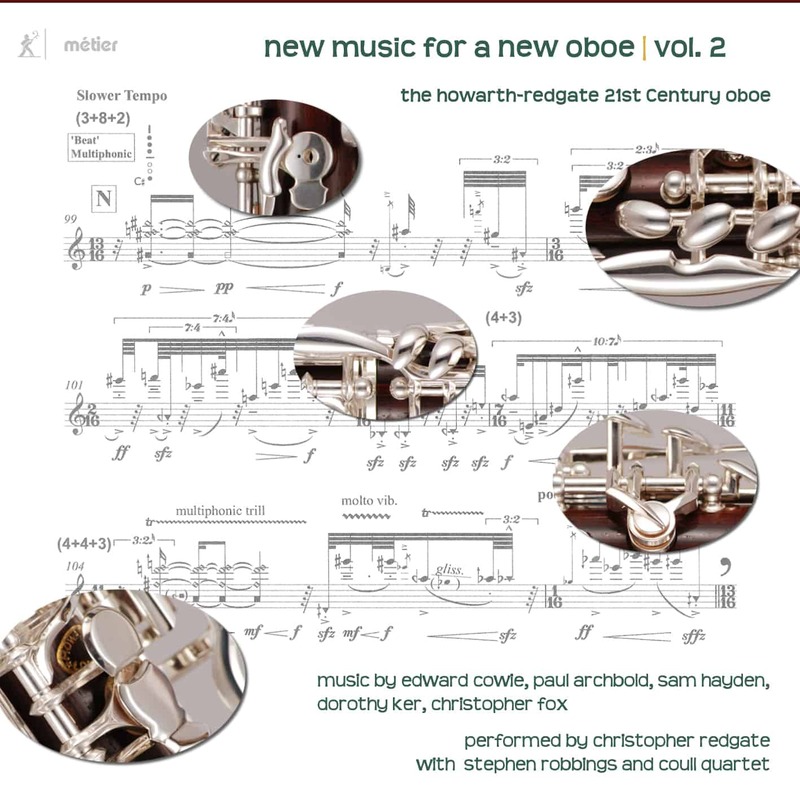 My new CD, Music for a New Oboe vol 2, will be released in the UK on the 13th July and elsewhere on the 20th July. It includes music by Edward Cowie, Paul Archbold, Sam Hayden, Dorothy Ker and Christopher Fox. Two performances of Craig Vear's On Junitaki Falls for oboe and AI. A video performance of Paul Archbold's Zechstein for Howarth Redgate oboe. A video performance of my own Tick-tock for flute and oboe. Recorded with my wife Celia Redgate.